Caribbean Regional Anti-Doping Organization (RADO) Hosts Media Interface – Barbados Olympic Association Inc.
BRIDGETOWN –The Regional Anti-Doping Organization (RADO) recently held a Media Interface at the Marriott Courtyard, Christ Church. The event was geared at sensitizing local journalists on some of the key factors that go into the anti-doping reporting mechanisms and urging them to play their part by reporting responsibly. RADO Chairman, Dr. Adrian Lorde led the presentation. He said Barbados will be part of a new world anti-doping code which will be implemented come January 1, 2015. Fifteen Caribbean countries are involved with Caribbean RADO. The organization seeks to educate and develop anti-doping programs across the region. It will embrace all governments, national Olympic committees, anti-doping organizations and national federations. The World Anti-Doping Agency (WADA) has strengthened a number of areas, for example, “The athletes support personnel which includes coaches, trainers, managers and other team officials if found to be associated with the doping control process is also now subjected to a sanction. The whereabouts of athletes is also an issue that has been strengthened. Athletes will need to report their whereabouts every day between 5am and 11pm,” said Lorde. 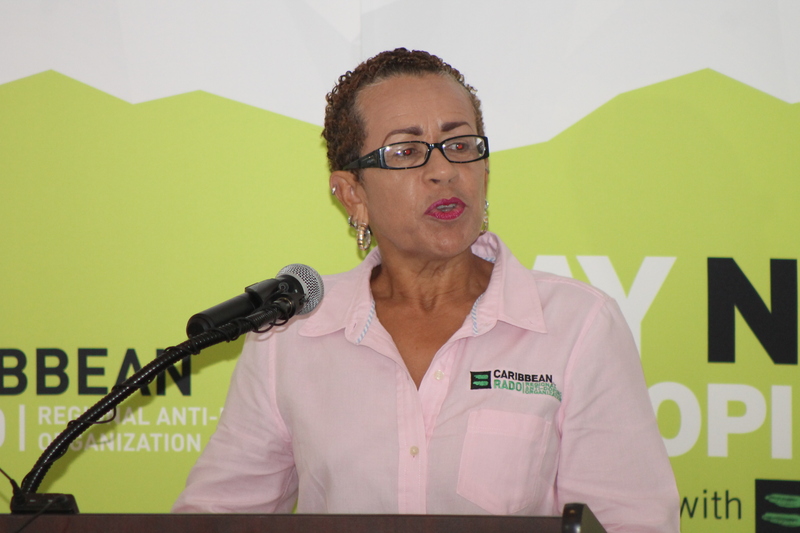 Executive Director of Caribbean RADO, Tessa Chaderton- Shaw said that managers of sporting federations need to incorporate anti-dope education on a consistent basis into their programs. “The more we educate it softens the impact of what may seem to be a scary and intrusive procedure. We need to encourage sports fraternities and athletes to embrace anti-doping fully, and this can start at the level of schools with the adoption of anti-doping into the curriculum of the Caribbean Secondary Examination Council,” Chaderton- Shaw said. Public relation consultant with the BOA, Pamala Proverbs in her interactive session with the group encouraged the journalists present to report fearlessly but fairly on anti-doping issues. She said athletes who may have had a positive test might not always be found guilty so that journalists should ensure that they do not execute athletes in the court of public opinion before they are found guilty by WADA. “We must remember that athletes livelihood and their performances can be affected by the stroke of a pen so it incumbent on all journalists to use your pen judiciously when reporting on this very sensitive area of sport,” Proverbs said. RADO will be hosting similar workshops for journalist in its other jurisdictions and will host the second edition of the workshop next year in Barbados when the new rules are released.